Dr. Sabine Purps and our professional staff at Fine Dentistry are known for distinguished, personalized dental care. Our dental office is located at 1764 San Diego Avenue, Suite #130, across the freeway from Mission Brewery on Washington Street, near Luche Libre. Conveniently accessible off the I-5 in San Diego, we provide comprehensive services such as implant dentistry, functional and cosmetic dental restorations, and holistic dental care to brighten, restore, and improve your smile. To schedule your next appointment, call our office at (619) 331-0036. Our practice hours are listed below. We make every effort to accommodate to your busy schedule. Our Mission Hills San Diego dentists value our patients and ask them to provide feedback online, via trusted websites like Yelp and Google+. Click below to leave a review of your own or, if you would like to learn more about our holistic and natural dental care, please read our reviews. Contact our office today, make an appointment online, or find driving directions below. We look forward to seeing you! 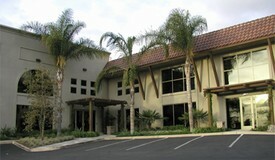 Our practice is conveniently located off I-5 in San Diego. Come in and enjoy our organic architecture designed to create the most relaxing atmosphere a dental practice can offer. At Fine Dentistry you'll find the distinguished, one-on-one personalized care you deserve with no waiting time. Visit us today! and turn into the first parking lot on the left. Ignore the 30 min/60 minute parking signs. You are Welcome here at 1764 San Diego Avenue- Suite 130.